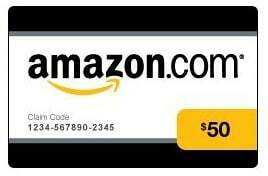 Soleil Selene is giving away a $50 Amazon Gift Card to one lucky reader! The giveaway is open to worldwide and ends 7/31. Visit Soleil Selene to enter the giveaway! Oooh, more books from Amazon to download with this gift certificate, now that’s nice.